What if you were sitting on a fortune and you didn’t even know it? 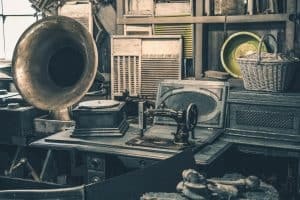 With the power of an estate sale, “one man’s trash is another man’s treasure” can be very true. But you have to know how estate sales work if you want to get the treasure at the end of the sales rainbow! 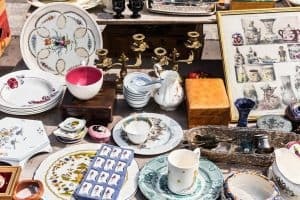 Estate sales can be mysterious and confusing, both for those attending them and those who are hosting them. Knowing how these sales work is critical to making the most of the experience. Keep reading to discover our guide that answers your question: just how do estate sales work? The first rookie mistake that most people make is to think that an estate sale is the same as a garage sale. After all, both of them center on selling items from around the house that you no longer want. However, an estate sale is much larger in scale than a garage sale. It involves selling more items and ideally reaching a far larger market. This makes the estate sale pretty intimidating for those who are hosting it. That’s why it’s important to figure out if you want to hire any professionals to help manage it. 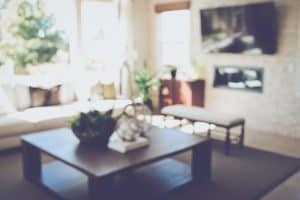 If you’re hosting an estate sale, hiring professionals will make it much easier. However, it comes at a price: many professional companies will take a commission on any profits that you make. That makes many people wonder if it is worth it to hire professionals. The honest answer: it depends, as there are a number of pros and cons. The benefits of hiring professionals include getting more buyers. This is because they have existing networks of interested buyers as well as the experience necessary to market your estate sale to others. On top of that, they can help you value items and find alternative avenues for selling items of very high value. We’ve already covered the main con of hiring professionals: having to pay a commission on whatever you sell. 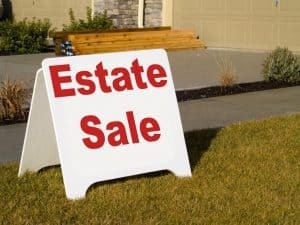 You may want to do the estate sale on your own if you have a large enough network of potential buyers and you are willing to spend the extra time organizing and marketing your estate sale. Whether you hire pros or do it yourself, there are a few surefire secrets to a successful estate sale. The first step: don’t throw anything away! 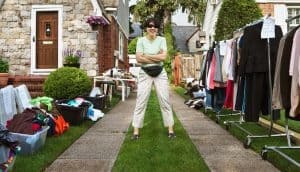 Many people try to combine hosting an estate sale with doing some spring cleaning. But if you focus too much on cleaning, you might end up throwing away something that could have brought you a tidy profit. Don’t forget to keep family members in the loop. If you end up selling a beloved family keepsake that someone else thought they had a claim to, it may kick off years of family drama. Make sure you have a Square reader or some other way of accepting debit and credit cards. The math on this is simple: the more ways people can pay, the more you’ll get paid! 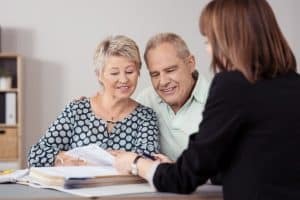 Now you have an answer to the question “how do estate sales work?” Here’s another question, though: do you know who can help you with your own estate sale? At Prestige Estate Services, we are the ultimate authority in successful estate sales. To see how we can boost your profits, reach out and contact us today!